It all started with our very first Dance Intensive in October of 2012. At the time, I was determined to put on a dance showcase for the disability community, but what emerged was so much more. 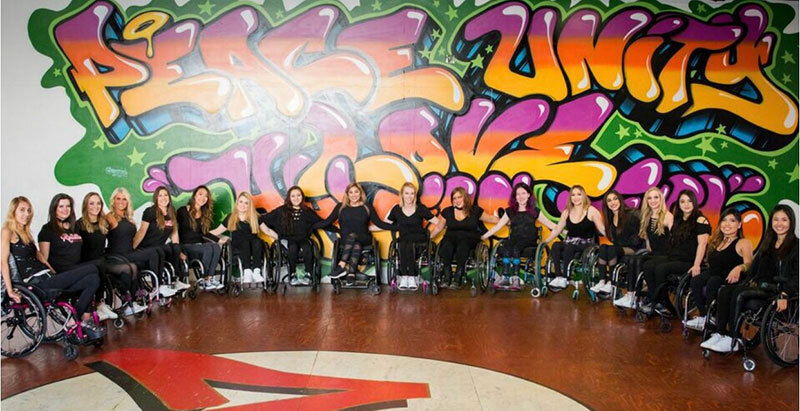 Our Rollettes team came together because of our shared love of dance and, through our events, we empower others to keep striving to realize their own dreams, regardless of their level of ability. Coming up, we hope you can join us for the Houston Rollettes Experience on August 3, The Rollettes Presents! 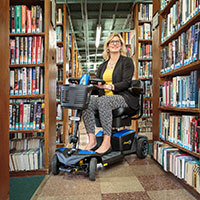 at Abilities Expo Houston on August 4-6 and the Rollettes Dance Intensive in Los Angeles on August 9-13. On Thursday, August 3, we are thrilled to connect with the Houston disability community through dance. We encourage people of all abilities to come to the Rollettes Experience and learn one of the routines we will be performing next weekend at Abilities Expo Houston! Instruction for kids will take place from 4:00 – 5:00 pm, while adult classes will be held from 5:30 – 8:00 pm at the Metropolitan Multi-service Center (1475 West Gray Street in Houston). The class is only $15 to participate and we can't wait to see you there! Our talented dance team is back again this year for the Houston Abilities Expo with our The Rollettes Los Angeles Presents! dance event. It will be an action-packed, high-energy series of dance routines that we have been perfecting for you! We will be performing all three days and hope you will join us to learn a few dance moves of your own. We don't just dance with heart, we speak from the heart and will share personal stories of how we continue to follow our passion despite the challenges and adversity we have faced. We hope that you will do the same in your own lives. So much has happened since that first 2012 Dance Intensive! As fun as it was exhausting, we practiced for 12 hours a day and gave it our all so that we can put on a fantastic performance. As we grew closer as a team and gained recognition, we began to expand, adding new dancers to The Rollettes with each successive year. The Dance Intensive evolved, too. In 2015, we held two of these events, one in the spring and one in the fall. More people showed interest and came to participate, and we decided yet again to expand our team. As we started to become more efficient and familiar with hosting a Dance Intensive, we decided to open up the dance intensive to anyone over 18 years of age. 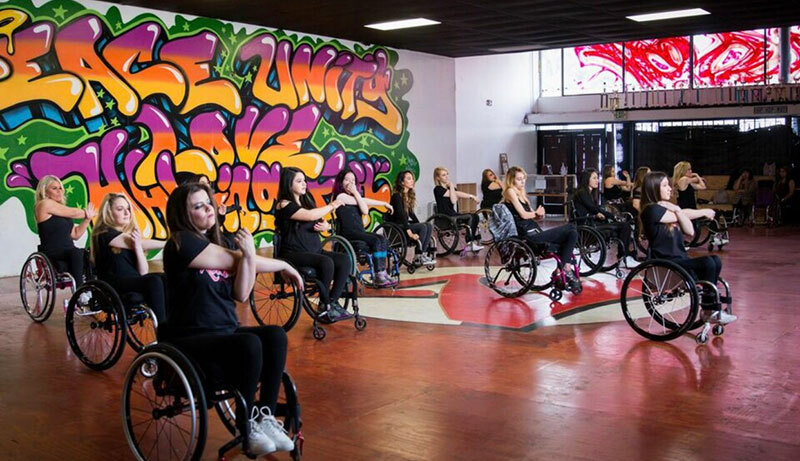 We not only taught people that they can dance regardless of their ability, but we were able to bond with people from all over the nation who had never had the chance to spend time with another wheelchair user. As a team full of women in chairs, we know how important it is to have friends that can relate to you. Through the years we have given each other advice, laughed at jokes no one else would understand, and helped each other grow. Our upcoming August 2017 Dance Intensive is the first Intensive that we are opening up to all ages and we cannot contain our excitement! We want children to grow up knowing their disability will never keep them from achieving their goals, to show other adults that it's never too late to grow as an individual, and to show the rest of the world that even though we use a wheelchair we still can dance. The Dance Intensive will take place August 9-13 in Los Angeles. For more information on how to attend, please email us at into@rollettesdance.com. What's next for the Rollettes? Our dance team will also be performing at both the Boston and D.C. Abilities Expo this year. Rollettes will be having pop up "Rollettes Experiences" coming up throughout the year in different states so if you are interested in attending, be sure to stay constant on our social media handles. You can find us on Facebook, Twitter, Youtube and Instagram.